Caaaan you believe it’s June already?! Half way through the year and we haven’t even begun implementing most of our New Years resolutions. Guess there’s always next year. Which is in like, six months?! Sorry, okay. Back to the matter at hand. Our June favourites come from Six, Oolala Collection, Elizabeth Arden, and Prevage. Have you had the chance to try any of them? Let us know in the comments below. Deep Cleansing Face Wash from Six Skincare | You may be familiar with Six already, but the science-driven brand has recently launched a teen range for breakout-prone skin. This gel face wash comes packed with anti-inflammatory and ant-septic ingredients that reduce redness and wash away bacteria. In case it isn’t obvious, you don’t have to be a teen to use this. Our editor routinely struggles with spots, and loves that this product comes with of-the-moment extract, licorice, which also acts as an anti-microbial and ant-oxidant. Yes. please. Available at Six stockists. The entire Oolala Collection range | There’s a lot to love about new kid on the block, Oolala. Founded by a local millennial woman, this extensive skincare range is vegan, cruelty-free and accredited by Beauty Without Cruelty. Their #IGiveAnF social media project deserves kudos, and so do their winning formulations that promise results. If we had to choose a fave from the line, we’d pick the Advanced Anti-Ageing Moisturising Serum that’s filled with rocking peptides and ultra-noursihing hyaluronic acid. 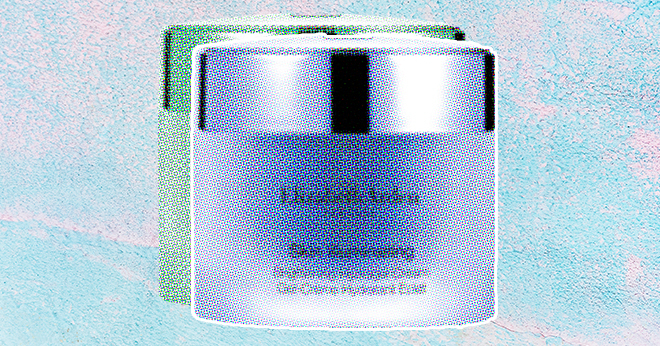 Skin Illuminating Brightening Hydragel Cream from Elizabeth Arden | Okay, so. This came in some of the best packaging we’ve ever seen. Holochrome, shiny, and very bright, it’s the perfect example of what this moisturiser could do for your skin. Not to say that it’s going to turn your face into a glowstick. Instead, red seaweed extract, Arbutin, Vitamin C, and Polynesian Lagoon Water (yes, really) work to plump up skin and brighten tone, while botanical hops extract help with dark spots and discolouration. Superstart Probiotic Cleanser, Whip to Clay from Elizabeth Arden | We stood no chance of resisting this mousse-to-clay cleanser, packed with a probiotic complex, and two types of mineral clays (pink and green – so chic!). The clays work to clean out and then minimise pores, while the probiotics ensure that your skin’s natural defences stay strong and undisturbed. City Smart Broad Spectrum SPF 50 Hydrating Shield by Prevage (Elizabeth Arden) | If you didn’t know it by now, living in a city can have a detrimental effect on your skin. Air pollution is a thing, and it’s out to steal your good skin. This moisturiser acts as an anti-oxidant barrier between harmful free radicals and your face. The SPF 50 is just a major, major plus. Superstart Probiotic Cleanser, Whip to Clay from Elizabeth Arden sounds so intriguing. Definitely keen to give it a try. Probiotics for your skin….YASSSS! I haven’t tried any of these, definitely look forward to getting to the store & bagging myself some of these products… Thanx BSA!!!! I liked this article on the new favorites. I personally like the Superstart Probiotic Cleanser, Whip to Clay from Elizabeth Arden… Never knew that you could get pro-biotics for your skin. Would love to purchase this and give my thoughts on this. I have read articals about this skin care collection and cant wait for it to be on the market !